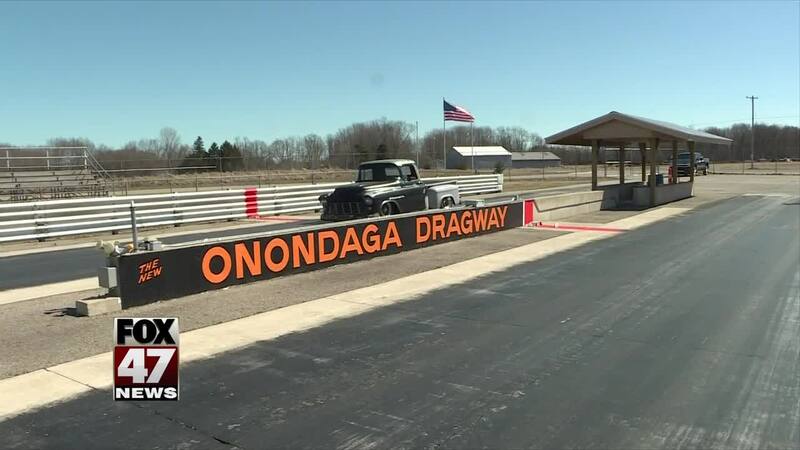 ONONDAGA, Mich. — Drag racers and fans thought they'd be spending spring getting ready to open the Onondaga Dragway for the season. Instead, they're fighting to keep it alive. The racetrack was opened in 2013 but shut down a year later due to court battles. It was then reopened back in 2017. People in the town say they have fond memories, but a lawsuit has its future in question. "It's just a good family place to go. It's a nice place to go on Friday or Saturday afternoon. It's fun. There's no drama there you know? And the money it's bringing into town," Corby Howk said. Howk's father used to race at the track in the 1960s. Howk also owns a business nearby. But not everyone is a fan of the revving engines and squealing breaks, some call it a "nuisance." Gary Caltrider is one of the two people that filed a lawsuit over the track, which he recently won on appeal. Caltrider owns the mobile home park located behind the strip, Country Manor. I just think it's a win for the community. People don't move into a mobile home park so they can get close to a drag strip. They might move out, but they're not going to move in. It's a nuisance," Caltrider said. To save the track, supporters made a GoFundMe[gofundme.com] to pay for legal fees. The fundraiser collected more than $22,000 is less than 24 hours. People who live in the area say that just shows how much the dragway means to the town. "I want everybody to know that this really did start out as one man's dream and it really, truly has become the dream of a community. Not only the community to Onondaga, but the community of racers," Marcie Seavolt said. That community was evident Monday as many turned out to the track to fight for it. "I focus on what the people are saying and what the people want. There are more people that want this open than people who don't. People should have a choice," Saevolt added. The track had a special use permit and was able to operate from noon to sunset on Fridays and eight a.m. to sunset on Saturdays. Supporters are trying to raise money to appeal the nuisance ruling to the State Supreme Court.